This is organised by a former client of ours – since her own gorgeous wedding, Rhiannon has become a successful wedding and event planner herself. 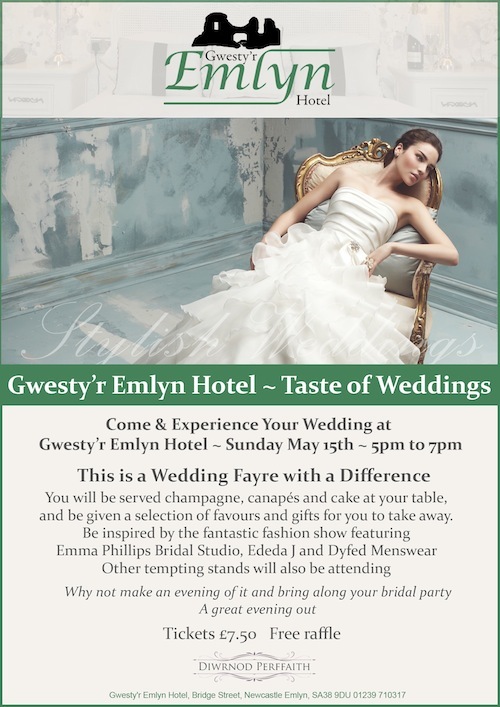 This should be a fab event at the newly refurbished Emlyn Hotel – totally different from the usual wedding fairs because it will also be a lovely social occasion where you can chat with other brides and get ideas! You’ll also be able to see our photography on show during the evening.